In early May, new audio of Axl Rose rehearsing with AC/DC in Lisbon, Portugal surfaced. Following the leak of snippets of the group playing “Thunderstruck” and “Shoot To Thrill” as captured by fans outside a rehearsal facility, audio of three full songs – “Hells Bells,” “Hell Ain’t A Bad Place To Be” and “Back In Black” – was posted just days before the start of the band’s European tour in the city on May 7. 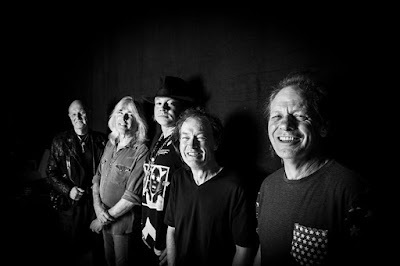 At the time, Rose was scheduled to perform shows with AC/DC in Europe before rejoining Guns N’ Roses for their summer stadium tour of North America that would begin in late June in Detroit, MI. Check out the No. 2 hennemusic story of 2016 on AC/DC here.